Edgar Allan "Poe" Rutherford has just started his new life on Maui. He's moved in with his best friend and he's dating the woman of his dreams. But when Detective Alana Hu's ex-boyfriend comes to town, Poe discovers more than a few secrets that rain down on his corner of paradise. 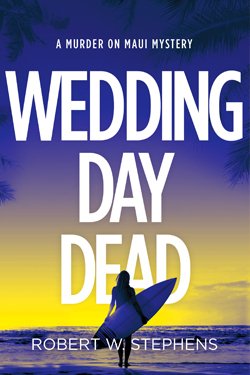 It's all he can think about until a member of the wedding party is fatally stabbed. Poe welcomes the distraction to discover the killer, but there's only one problem: he's considered a prime suspect. With his relationship on the rocks and the police investigating his every move, the detective is running out of chances to prove his innocence. Can he catch the real killer before he ends up behind bars?